Unlike most truffled cheeses, the truffle shavings for this cheese are not added until the cheese is already semi-aged. 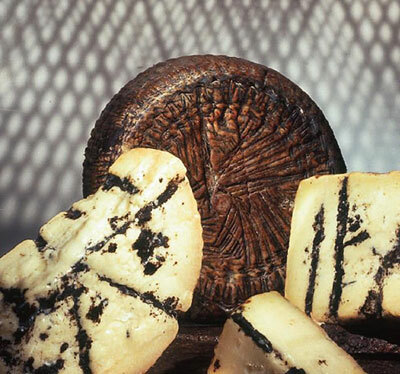 This allows the cheese to develop its own character before the truffles are injected. Though the truffles are only visible in the “veins” their flavor permeates the entire pate. From Sardegna, this cheese is made from 100% raw sheep milk.